Neill unveils the new Valentine's Collection of bouquets and arrangements for the special celebration of love in 2018. 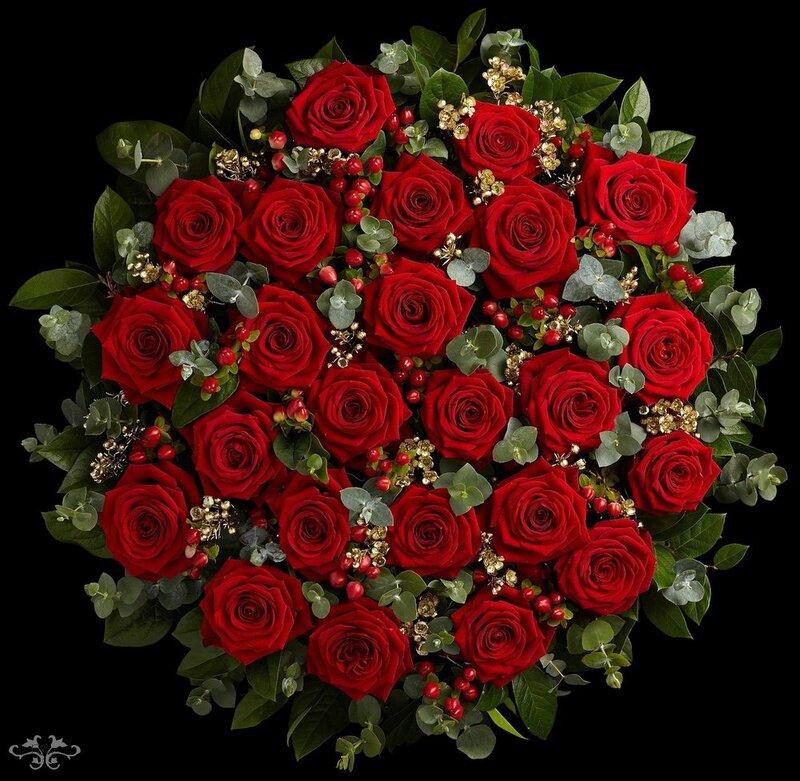 Stunning designs with unrivalled Red Naomi Roses and other seasonal flowers which can be ordered online or at the Belgravia boutique or Harrods concession with delivery throughout London. Love is in the air and we're ready for Valentine's Day at Neill Strain Floral Couture with our Red Rose heart decorating the entrance into the Belgravia boutique and spheres upon spheres of pink Roses in the Food Halls of Harrods where we have our concession ! I'm very excited about the new designs we've created for the 2018 Valentine's Collection which are already available to order online and will soon also be on display at the Belgravia boutique and our Harrods concession. 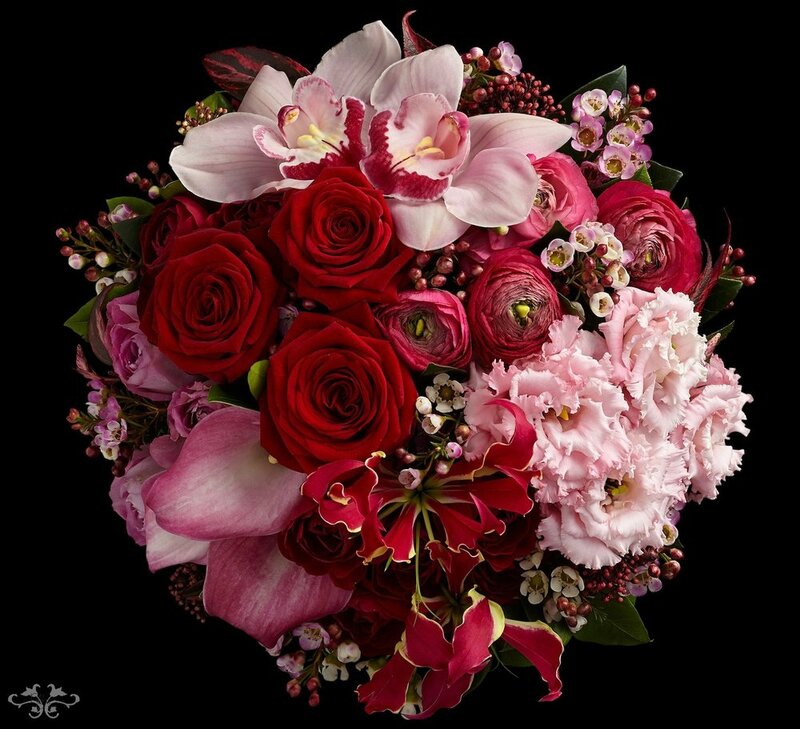 Petite Couture leads to Haute Couture... Our Haute Couture bouquet comprises a highly textured blend of seasonal blooms in tints and tones of crimson, cherry and pink, while our Pastel Rose bouquet flaunts three varieties of Avalanche Roses, White, Pearl and Sweet. New this year is the Red Rose Heart. Painstakingly hand-crafted by our team, the intricately wired heart frame is filled with 18 or 24 Red Naomi Roses, Skimmia and golden Wax flower. 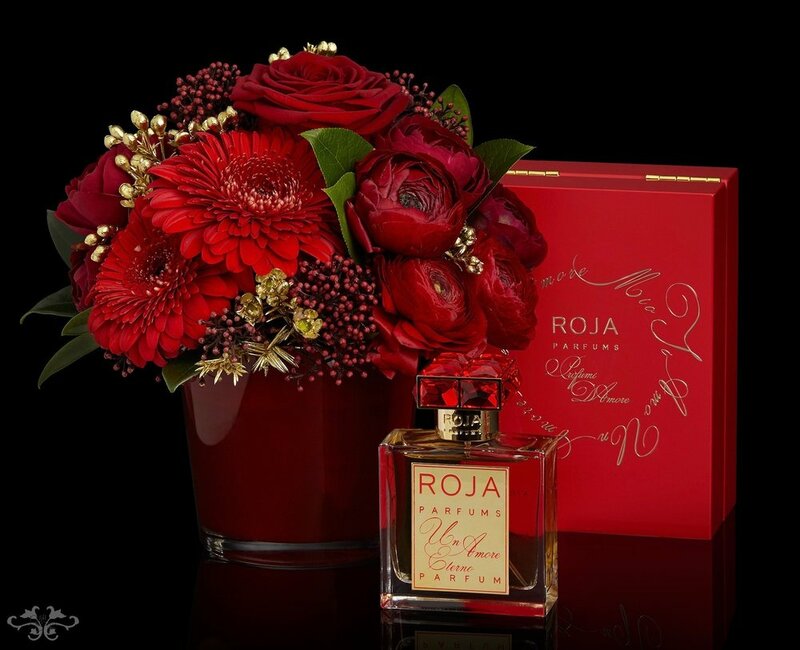 With the subtle scent of these enchanting Roses, what could be more romantic than to receive this gift of floral art. I am often asked why my flowers in general, and particularly my red Roses at this time of the year, look so much more beautiful than all others. My not-so-well-kept secret is the relationship I have developed over the years with a select group of incredible growers in Holland. These growers are as happy to send their flowers to Harrods and our Belgravia boutique as fathers are proud to see their kids doing well at a top University! They select and pick for me the very, very best, the most perfect flowers they have. Those that have spent a little longer growing on the plant, where the heads are a little or even a lot bigger, the stems are taller and stronger, their general state is a paradigm of strength and beauty. Following conditioning, the flowers are sent straight to our Belgravia boutique or design studio, so no valuable vase life time is wasted at the auction or the market. Our flowers arrive within less than 24 hours of picking. This is also the case with our Valentine's Roses and the difference is dramatic. 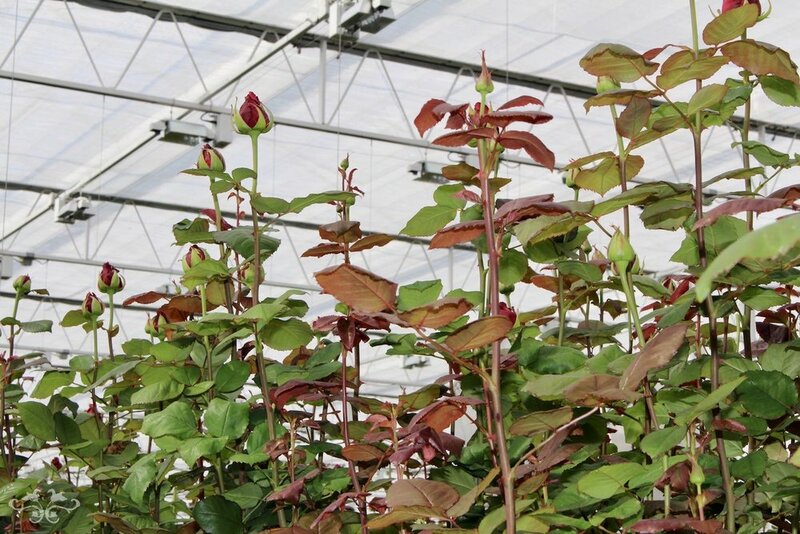 Our selected grower for red Roses throughout the year is Porta Nova, Holland's largest and most respected grower whose families have been working in horticulture for 115 years and exclusively producing the new Red Naomi Rose variety since 2006. They strive to make the very best red Roses in the world and I believe they have achieved this. Here are some images taken in one of their glasshouses during a recent visit. Porta Nova has some of the best technology I have seen in Holland with the latest, most effective cooling and heating systems available. They have obtained maximum levels of light at their two glasshouses and this has a direct reflection on quality; they use green energy and are almost exclusively organic. 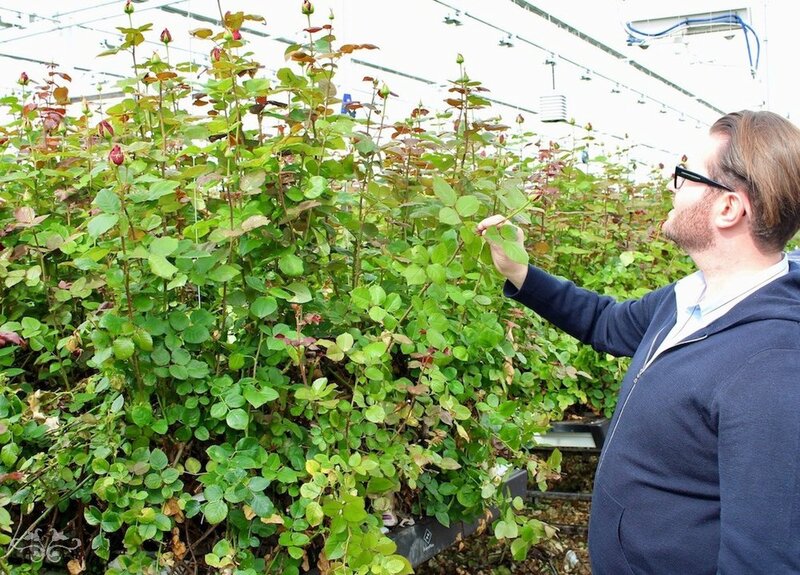 Visiting their glasshouse is a unique experience; you can feel their profound dedication to quality at every stage of production, focused solely on the perfection of their flowers. 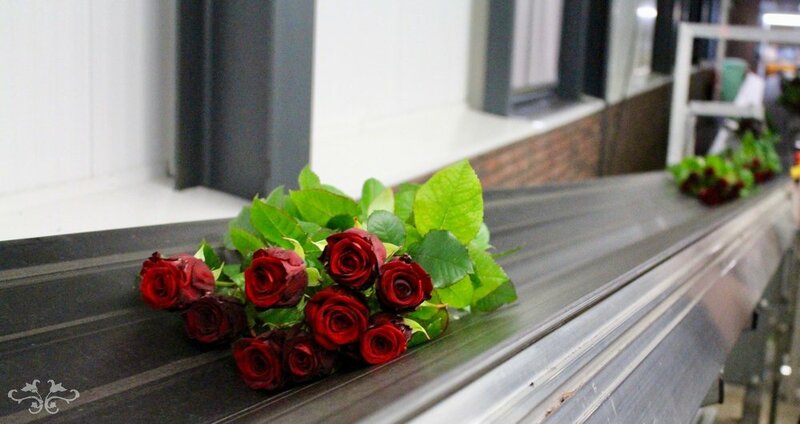 Red Naomi Roses, and above all those from Porta Nova, have the largest petal count of all red Roses on the market. The quintessence of romance, these blooms are incredibly long lasting, very strong with sturdy, long stems up to 90 cms tall for the Supra premium range which is what is selected and picked for us. Furthermore, they have a subtle, delicate fragrance which is rare to find in such a hearty Rose since most fragrances have been removed by breeders in favour of a longer vase life. 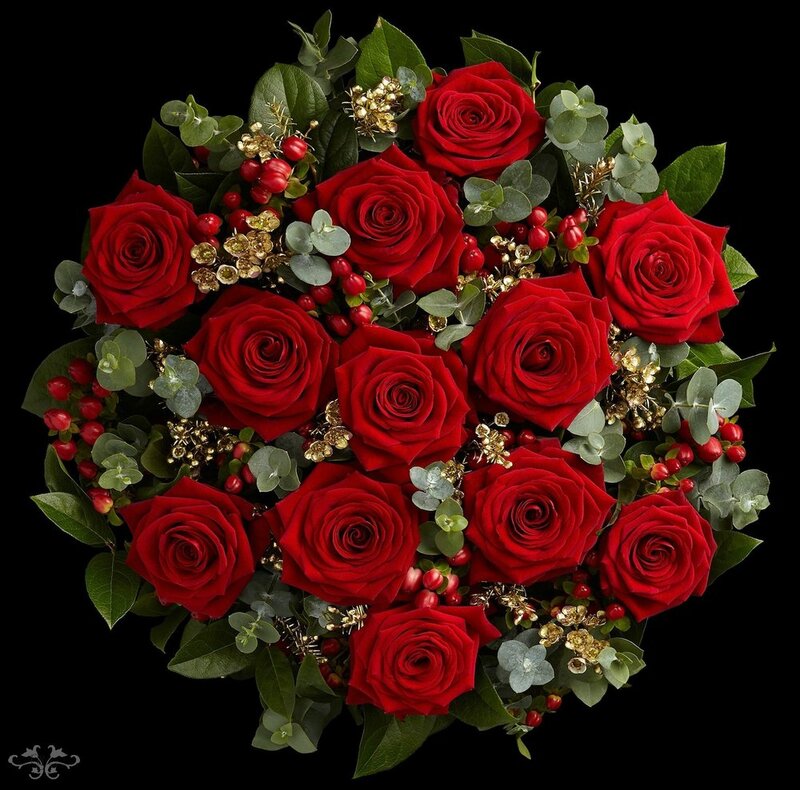 The fullness, velvety texture and rich deep colour make these remarkable flowers my only choice for our red Rose Valentine's designs. 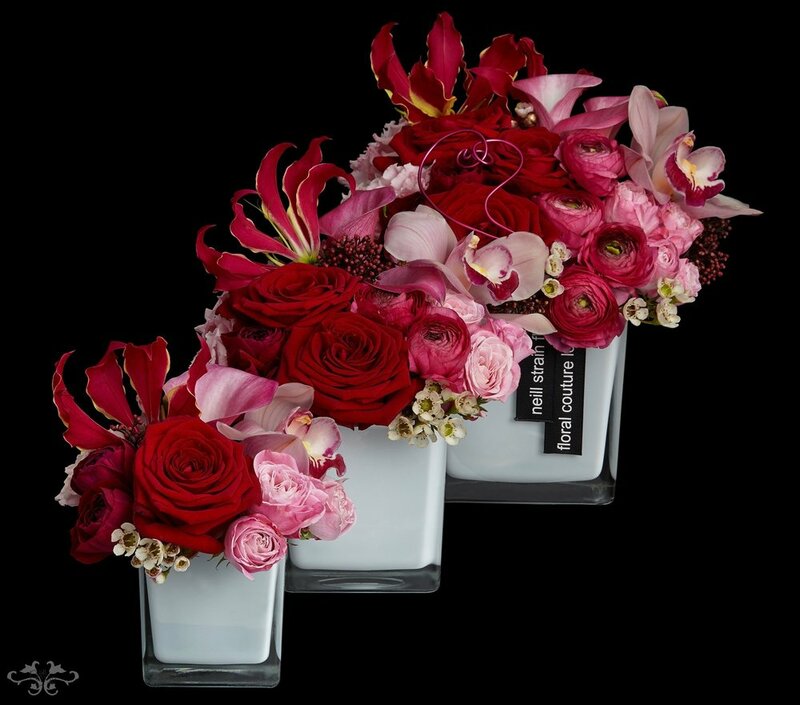 As a final note, take a look at the Petite Couture arrangements we have created exclusively for renowned perfumier and candle chandler, Roja Dove. Inspired by the intensely romantic fragrance and exquisite packaging of these perfumes, I fashioned these designs especially for the Profumi d'Amore collection as the ultimate Valentine's gift that expresses pure passion and love in both floral and fragrant form. On sale at Harrods and at their Burlington Arcade boutique. I hope these images have inspired you for your own Valentine's gifts. Take a look at our online ordering service. We deliver throughout central and greater London. Or you can pop in and see us and, of course, don't forget to take your photo in our floral heart - it's the most romantic spot in Belgravia!